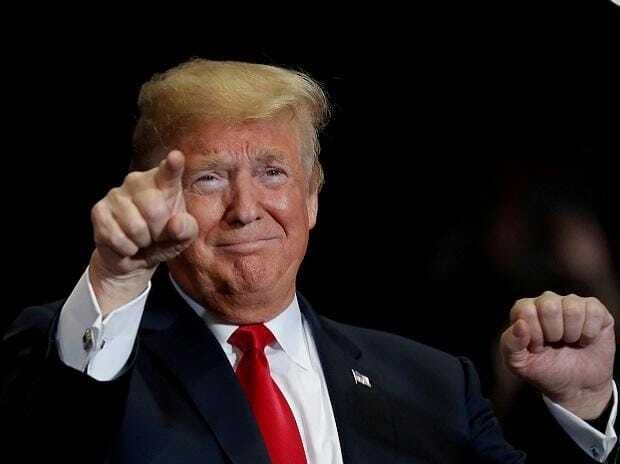 US President Donald Trump said on Thursday he will meet with Chinese President Xi Jinping soon to try to seal a comprehensive trade deal as Trump and his top trade negotiator both cited substantial progress in two days of high-level talks. At the end of two days of high-level talks next door to the White House, Liu told Trump that China would make a new, immediate commitment to increase soybean purchases. An administration official later clarified the amount as a total of 5 million tonnes, effectively doubling the amount bought by China since resuming limited purchases in December. US soybean sales to China, which totalled 31.7 million tonnes in 2017, were largely cut off in the second half of last year by China's retaliatory tariffs and the announcement drew a positive reaction from Trump, who said it would "make our farmers very happy." While China has offered increased purchases of U.S. farm, energy and other goods to try to resolve the trade disputes, negotiators dug into thornier issues, including US demands that China take steps to protect American intellectual property and end policies that Washington says force US companies to turn over technology to Chinese firms. US Trade Representative Robert Lighthizer said there was "substantial progress" on these issues, including verification mechanisms to "enforce" China's follow-through on any reform commitments it makes. The White House said in a statement that a scheduled March 2 tariff increase on $200 billion of Chinese goods to 25 per cent from 10 per cent was a "hard deadline" if no deal was reached by March 1. The US complaints on technology transfers, and intellectual property protections, along with accusations of Chinese cyber theft of American trade secrets and a systematic campaign to acquire U.S. technology firms, were used by Trump's administration to justify punitive tariffs on $250 billion worth of Chinese imports.